Pressed plastic pallet machine is the one-time forming plastic pallet machine. And it is the new type of plastic recycling machine with high pressure. 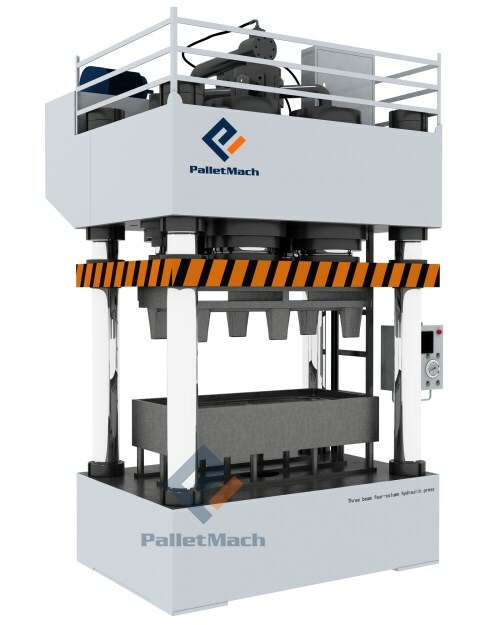 The PalletMach pressed plastic pallet machine combines extrusion and moulding into one compact and efficient recycling line. The whole machine can achieve full automatic production with PLC system. Comparing to the conventional injection moulding machines, this integrated system is very easy and smooth, and therefore, eliminates the problem of inconsistent feeding (over-feeding or insufficient feeding). The waste material enters the machine from the belt conveyor (for film scraps and rigid plastic regrind) and the nip roll feeder (for complete film rolls) at the same time. An extra silo tank can also be added to store and feed pre-washed film flakes. The feeding is controlled automatically based on how full the silo tank is. And it is optimal for the extrusion process that follows. The extruder screw then feeds the material directly and consistently into pressed plastic pallet machine. The integration of the feeding machine and extruder ensures extremely fast and stable feeding, the tangentially connected extruder is continuously filled with material. This results in a much higher production output comparing to other types of plastic pallet systems on the market. The capacity of pressed plastic pallet machine is much higher than the traditional injection moulding one. Besides, it is more economical of large capacity. And the capacity can up to 720 pieces of pallets 24 hours. The stable material feeding together with smooth flow produce round-shaped and uniformed size pallets. And they are higher in value and optimal for reproduction (extrusion processes). 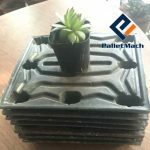 The quality of the final plastic pallets is as good as the traditional ones. Meanwhile, the final pallets are one-piece design, which is saving space 60% than the traditional ones. 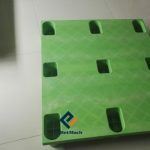 Plastic pallet is easy to clean, hygienic and durable, and meets the requirements of health testing. Installation: overseas installation is available. 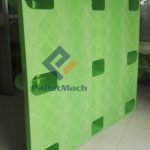 Proper installation and commissioning of plastic pallet making machine are critical in maximizing reliability and minimizing life-cycle costs. 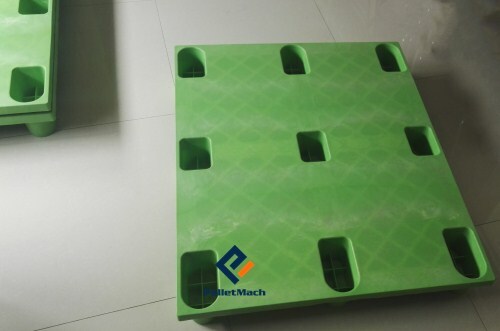 If you want to get more information about moulded plastic pallet machine, please contact us via sales@palletmach.com. 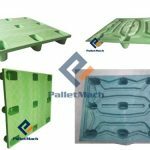 Why is Business Shifting to Pressed Plastic Pallets in Logistics?